A special day is coming soon: Shakespeare’s Day! April 23rd marks the occasion to commemorate the genius English poet and his ground-breaking works of literature. 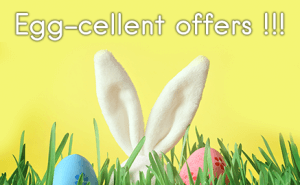 Celebrate the day by visiting one of our fantastic Shakespeare attractions for a great discount! 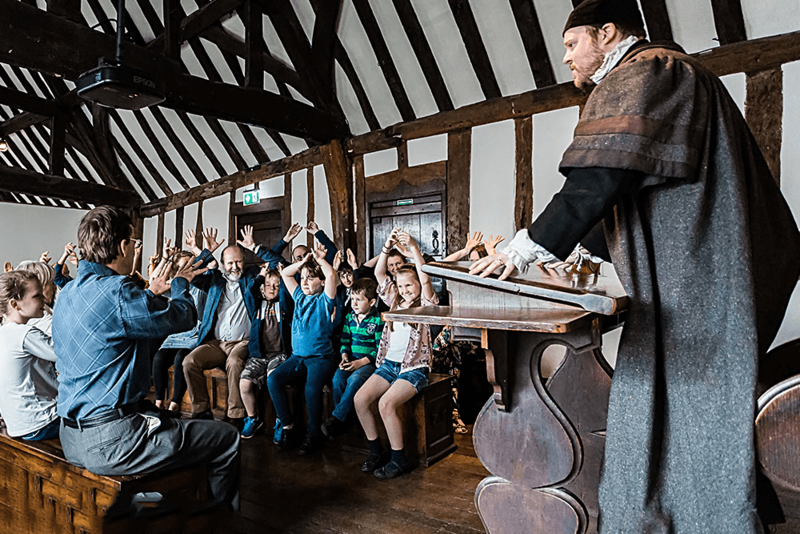 Visit Shakespeare’s Schoolroom and Guildhall in Stratford-upon-Avon where you can follow in the footsteps of William Shakespeare, the world’s most famous playwright! Here, visitors can step into sixteenth century Stratford-upon-Avon where Shakespeare was educated as a boy. 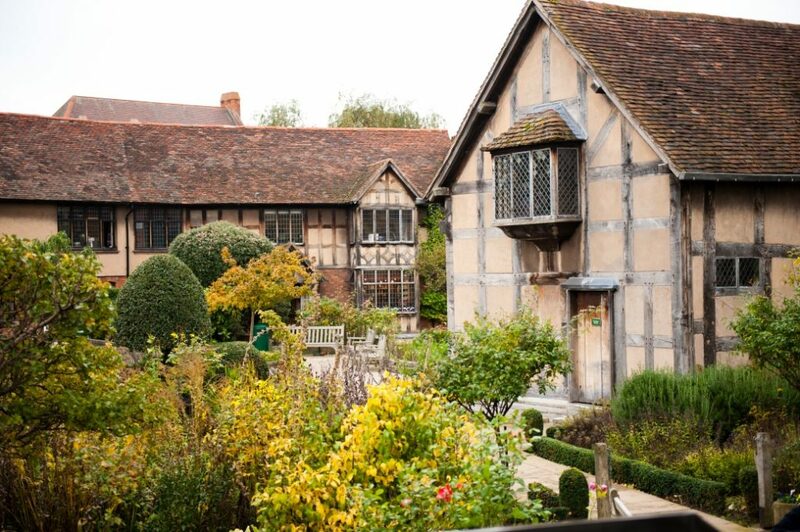 When visiting the attraction, you’ll get to sit and learn in the exact same room that Shakespeare did as a boy. Likewise, you’ll have the chance to explore the buildings where he was inspired as a child by some of the best actors of the time and where his father served as mayor. But you’re not just there to explore the facilities; you are there to be educated! You are at one of the best schools from the sixteenth century, so no time must be wasted! Head to the room immediately where you will join a Tudor school lesson just like in Shakespeare’s days. You will get to learn about all the subjects the students would have learned back then. Other activities include brushing up on your Latin, playing Tudor games, and getting messy with a quill and ink. And while you’re there, make sure to dress up Tudor-style for a selfie! 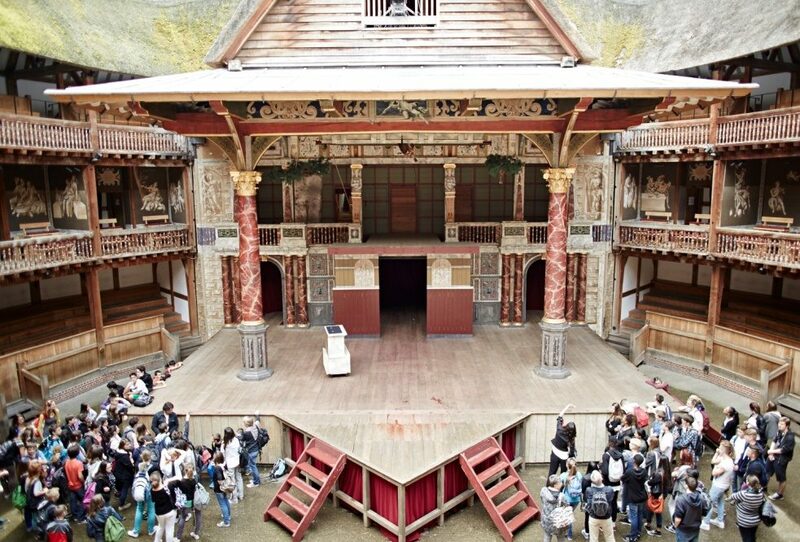 Go back in time with one of our vouchers to Shakespeare’s Globe Guided Tours. 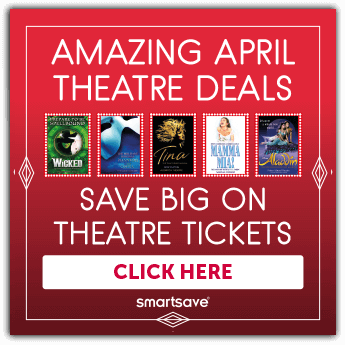 The Globe Theatre is a thriving arts centre located in London that houses the biggest Shakespeare exhibition anywhere, charting both the history of the writing genius, his family, players and his acclaimed theatres. Of course, the focus of the displays is on Shakespeare’s most famous playhouse, the Globe Theatre, which was built in 1599 and then destroyed by fire in 1613. Even so, during its heyday at the height of Queen Elizabeth I’s reign, Shakespeare’s Globe won international renown as the peak of the arts. A ticket for one of Shakespeare’s Globe Guided Tours includes an informative and entertaining guided tour, there are bar facilities and a cafe, as well as the chance to buy tickets for a show at the Globe Theatre – an experience that should not be missed! 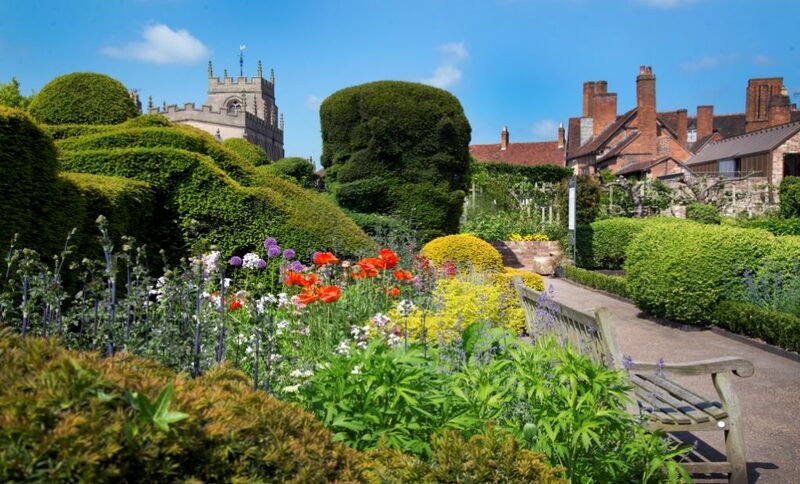 Why not spend Shakespeare’s Day in Stratford-upon-Avon checking out Shakespeare’s Family Homes? Visit Shakespeare’s Birthplace to walk in Shakespeare’s footsteps and explore the house where he was born and grew up. Listen to tales of his family life, enjoy live theatre on demand and get up close to rare artefacts. Experience his love story with Anne Hathaway at Anne Hathaway’s Cottage and Gardens – the family home of his wife. See Hall’s Croft, home of the poet’s daughter, Susanna, and discover beautiful gardens in addition to specially commissioned artworks at Shakespeare’s New Place. Don’t forget to take a trip to Mary Arden’s Farm, where Shakespeare’s mother grew up. Make sure to take part in all of the exciting hands-on activities offered every day! 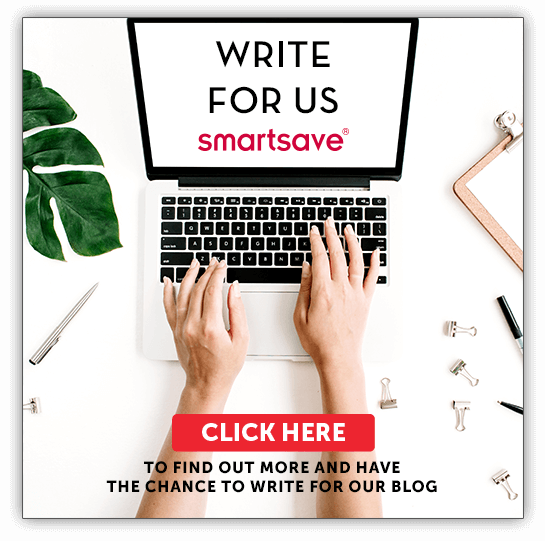 On a final note, the Easter holidays are approaching as well and Smartsave is holding two special Easter egg hunt competitions. Check out the rules and prizes for the US and the UK competitions here!